My flight from Singapore to Malé is scheduled to arrive at 8.05pm Maldives time. During the trip planning stage, I knew I have to stay overnight near the airport on the first night because the public ferry that goes to my next destination only depart in the morning. I weighed the pros and cons of staying in 3 different islands, namely Malé, Hulhumalé and Villingili. In the end, I decided to stay in Hulhumalé. We spent our first night and last night in Hulhumalé and we really enjoy our time there. Here are the reasons why. 1. Hulhumalé is so easily accessible from the airport. To get to Hulhumalé from the airport, simply board the shuttle bus that departs every 30 minutes from the bus stop beside KFC. It costs MVR 20 per person. The bus schedule is here. Do note that the bus doesn’t allow standing passengers, so be there and queue early! The bus stops at 2 locations: Redwave and main bus stop. If you’re unsure where to alight, just ask the bus captain and he will advise you. 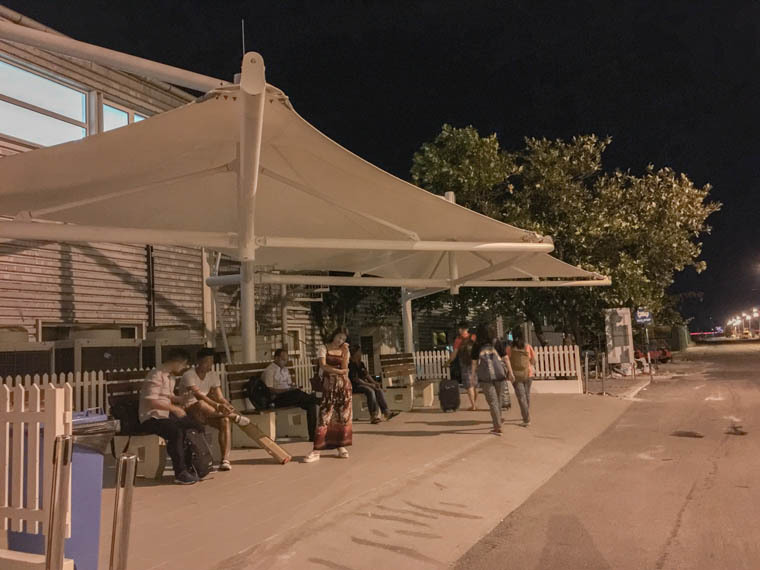 The bus stop at the airport (beside Burger King) from which you can board the shuttle bus to Hulhumale. There’s a board showing the bus schedule. 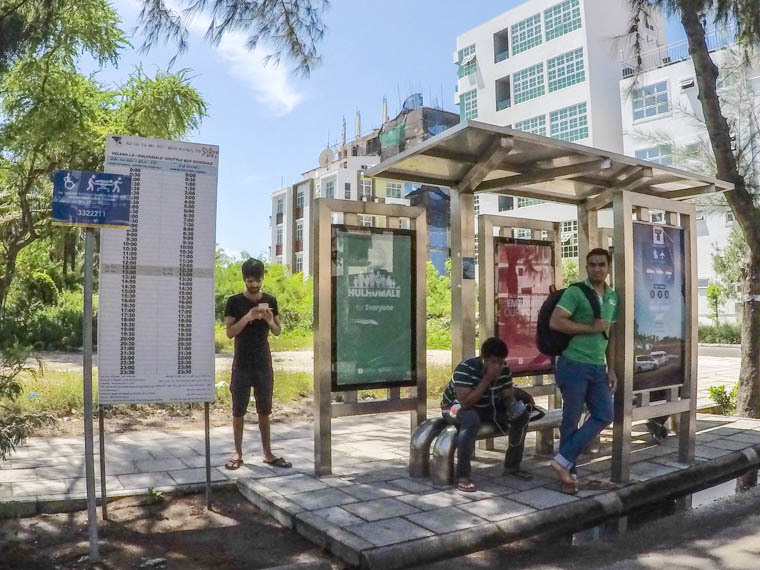 The first bus stop (Junction of Nirolhu Magu 11) from which you can board the shuttle the bus to airport. There’s a board showing the bus schedule. The second bus stop (Junction of Nirolhu Magu 15) from which you can board the shuttle the bus to airport. There’s a board showing the bus schedule. 2. Hulhumalé is not overly congested like Malé. 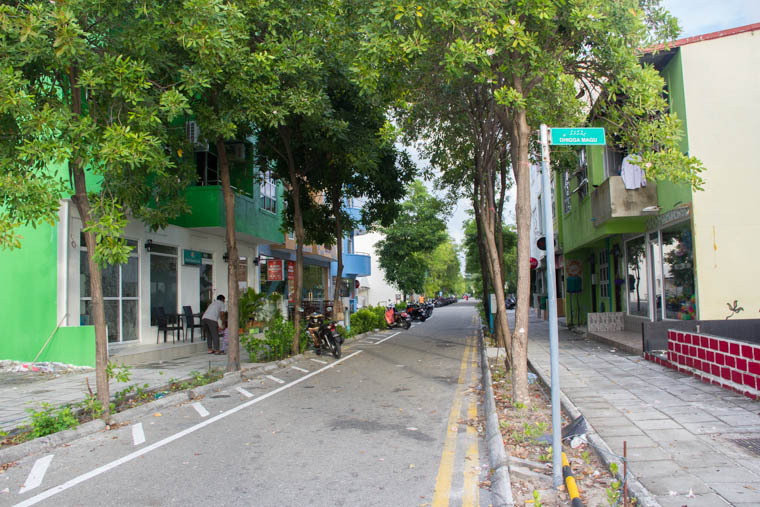 The roads in Hulhumalé are wide, with generous pedestrian walkways. 3. Traveling from the airport to Villingili is too troublesome. 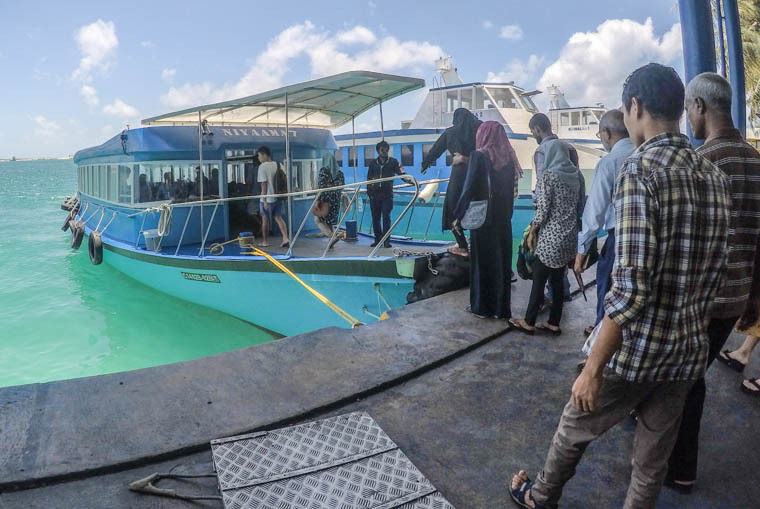 It requires one to take a ferry from the airport to Malé, then a taxi from the north jetty to Villingi jetty in Malé, then take another ferry to Villingili. 4. 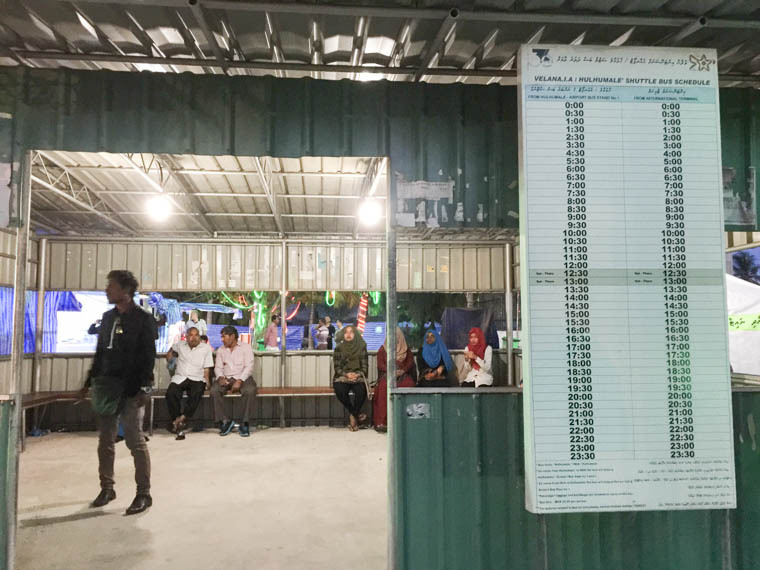 You can go to Malé directly with a 20-min ferry ride. 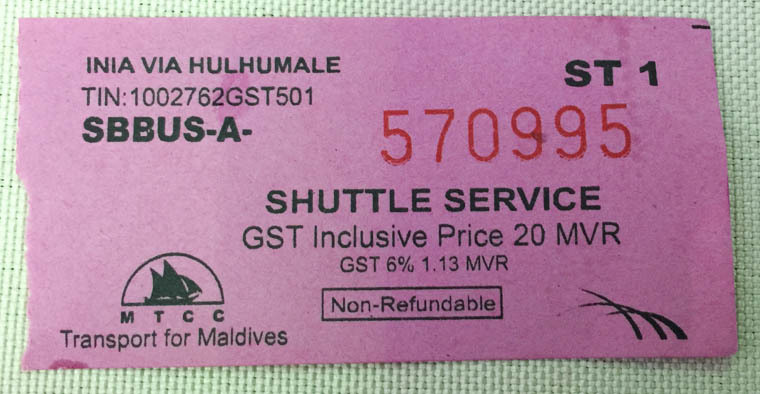 It costs just MVR 5.50, and it departs every 15 minutes. 5. 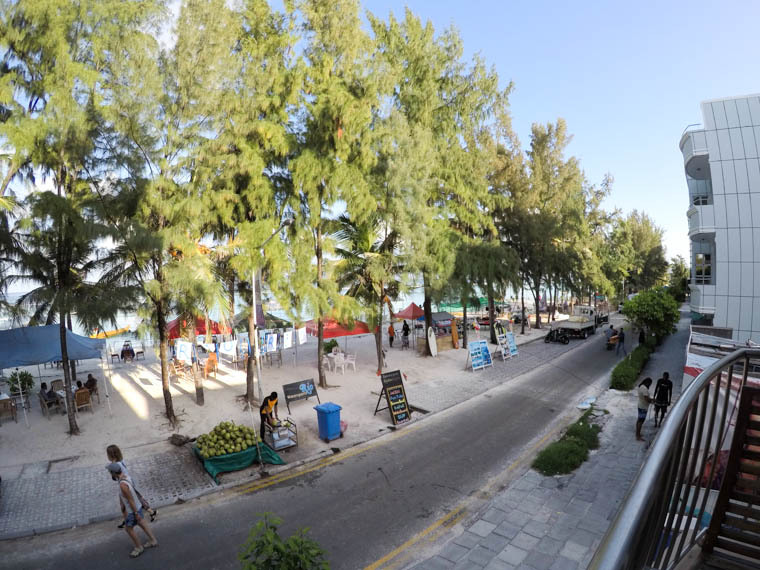 There is a stretch of pristine beach with plenty of restaurants and cafes nearby. Even though the whole island is man-made, the beach is awesome. 6. 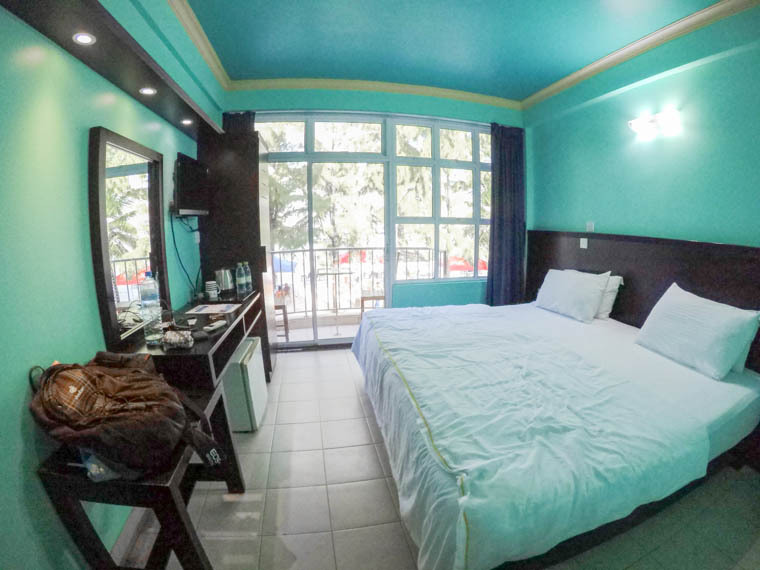 There are plenty of hotels and guesthouse, and their prices are affordable. 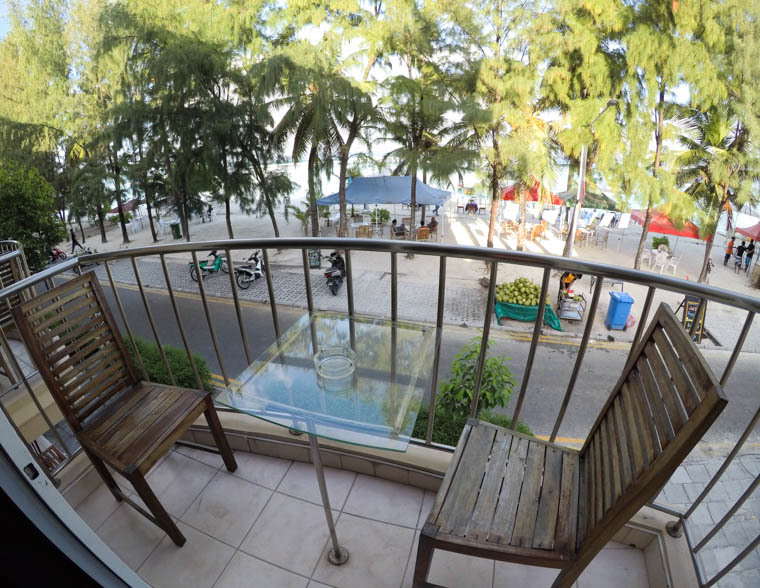 Scroll down to “Where We Stayed At” to find out how much we paid for our rooms in Hulhumalé. 7. There are plenty of restaurants and cafes too. Scroll down to “What We Ate” to find out what we love. 8. There are minimarkets, souvenir shops and even a supermarket (Redwave City Square). 9. 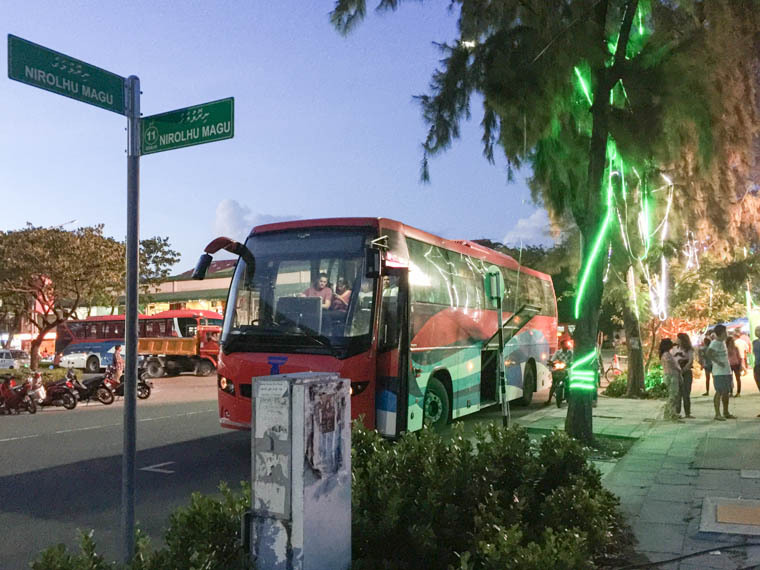 There are 2 neighbourhood buses that connect the main road to Hulhumalé Ferry Terminal. These are the links for the schedule (see page 2) and the route. 10. You can absolutely run in Hulhumalé. The roads are wide with generous pedestrian walkways. 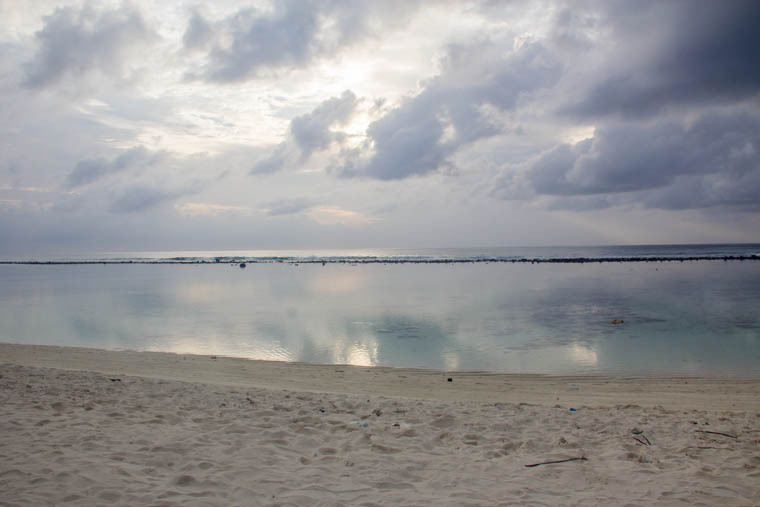 At the moment, there is no bikini beach in Hulhumalé. I hope there will be bikini beach in the future! On our first night in Maldives, we stayed at Noomoo Maldives. We paid USD 59/night per room after tax. The hotel is about 500m away from the bus stop where the airport shuttle bus dropped the passengers; we walked for about 10-15 mins while dragging our luggages along the main road. The room at Noomoo is not huge, but it’s acceptable. There are small bottles of shampoo and body soap in the toilet. There is wifi in the room, as well as phone. 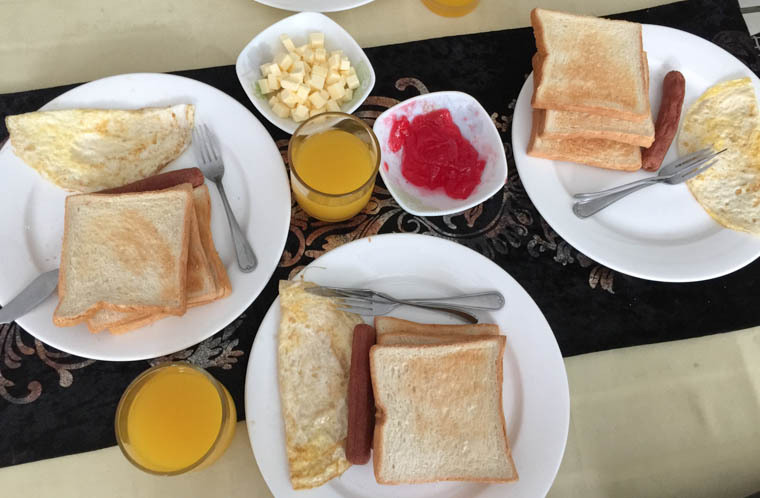 The breakfast at Noomoo consists of 3 pcs of toast with butter and jam, 1 fried egg, 1 sausage and 1 glass of orange juice. As it was a low season, the kitchen staff was still sleeping when we arrived at the cafe at 6:30am, and it took him about 20 minutes to prepare our breakfast. On our last night in Maldives, we stayed at Fuana Inn. To be honest, I was so pumped up when I arrived at Fuana Inn and saw that it’s located right by the beach and there are many restaurants around. Furthermore, our room has a balcony overlooking the beach! How cool! It is also nearer to the main bus stop compared to Noomoo and it’s cheaper. 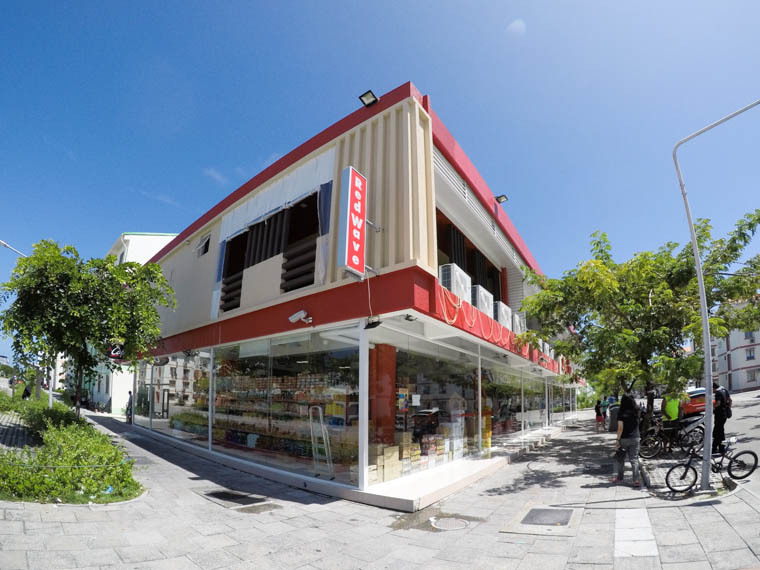 Location-wise, Fuana Inn is located at one of the best locations in Hulhumalé. However, there were 2 things that didn’t sit well with us: the rude attitude of the front desk staff, and the stains on the bed. We like Manhattan Fish Market so much that we ate there for 2 times! It’s located at the topmost floor of Centro Mall. My favorite dish is absolutely the Shrimp Aglio Olio. It costs just MVR 85 but it came with so many shrimps! 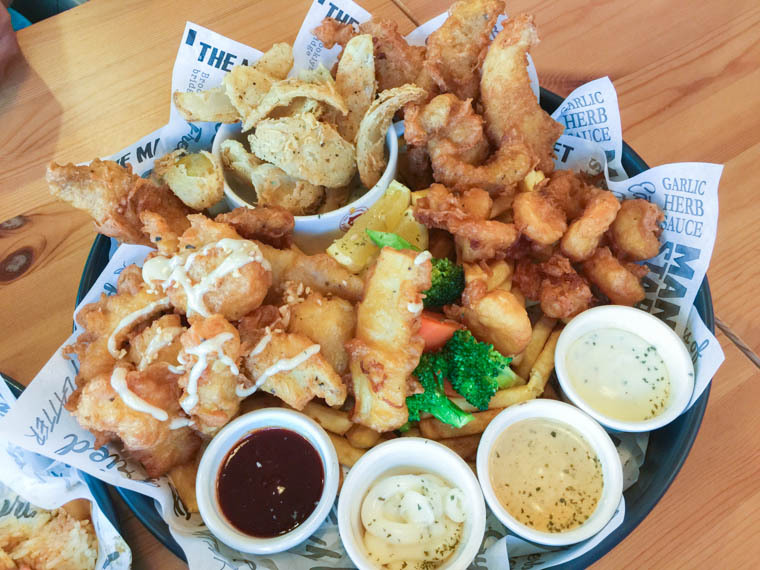 Manhattan Fish Market is really worth the splurge. We had our final meal of the trip at Alchemist Bistro & Café. 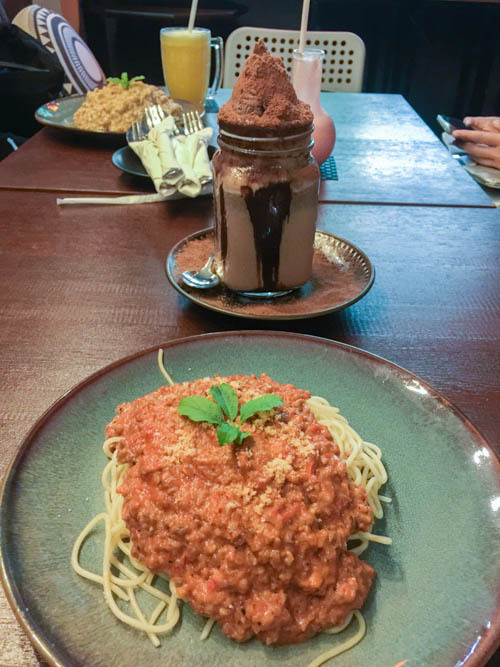 The portion was huge, but choice of food was limited. Their best-selling items are shakes. We ordered Milo shakes and boy, it was huge! Near Centro Mall, there is a fruit market. We were glad to have visited the market because we found great bargains. Small coconuts cost only MVR 15. The seller cuts open the coconut for us, and gave us a makeshift spoon made from coconut shell. 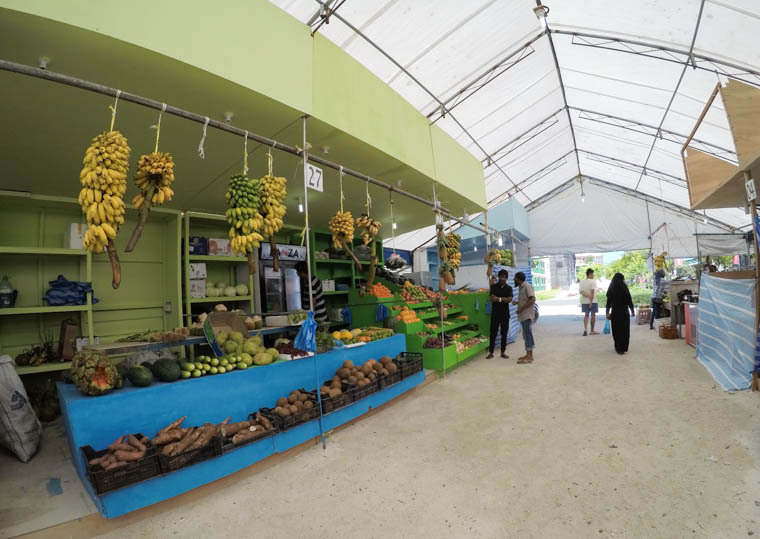 The government of Maldives has several ambitious goals for Hulhumalé. 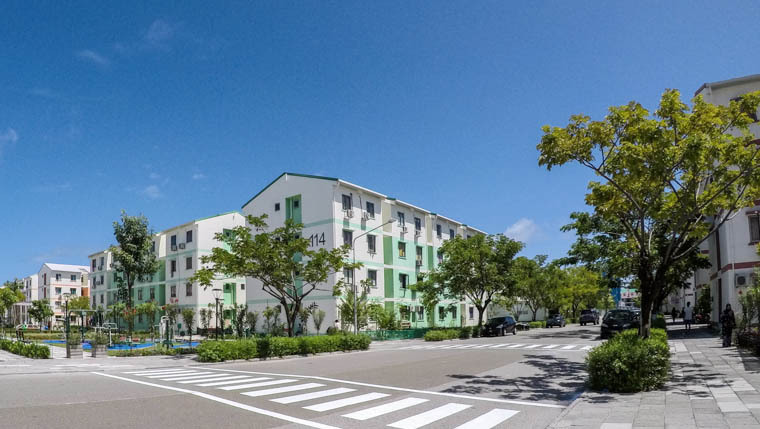 One of the goals is for Hulhumalé to be able to accommodate two-thirds of the total population of Maldives with a target population of 240,000. The population in 2016 was 40,000. With such a lofty goal, I foresee that in 5 years time, Hulhumalé will be so different from what it is today. Honestly, I’m excited to see what it becomes in the future. Hi Eva, its great to bump into your blog as i was planning a similar 1 day stay in hulhumale like u did. One question, did u change into local maldives currency for your expenses in hulhumale or do they accept USD? I came across your amazing blog while searching for accom in the Maldives for our honeymoon. We are taking about the same flight as you, arriving late at 8pm and leave early at 11am. Do you think I should stay both the first and last day at Huhumale? or should I book the first day somewhere else for different experience and Huhumale for the last day so that I won’t miss my flight? I thank you in advance and look forward to your reply. Hi Thanh! Yeah, I think you could consider to stay in Male for the first day, and Hulhumale for the final day for the experience of staying at two different places. Even though Male is crowded, there are plenty of food options, and taxis are everywhere. Hope you have good journey to Maldives! Thanks for the detail on your blog. I happen to come across you blog when I’m searching for transportation from Male airport to Hulhumale. My flight will arrive the at 9:30pm. I checked with the hotel and they are charging US$10 per person. I would like to see if there’s taxi or is UBER available for the transportation. Hi Jordan, thanks for the compliment. I don’t recall seeing any taxi in Male airport. Yes, hotels are charging USD 10 which I find ridiculous. I highly recommend taking the shuttle bus. When I visited Maldives last year, there wasn’t any Uber in the country. I’m not sure about now. Enjoy your trip to Maldives! Thanks for your reply. I heard that there’s kinda “Chinese exclusion” in Maldives. Is that true? It makes me not feeling safe walking on the street. I did some search in UBER and it show no service in Maldives.I think i’d take the hotel transportation. Hi Jordan, I’m not sure about the situation now. But when I took the local bus, there were plenty of Chinese too, and there wasn’t any exclusion. Yeah, I agree it’s better to be safe than sorry.